Give your website the CDN it deserves and take it to the next level with these technologies: HTTP/2 Server Push with every new CDN Resource, as it is revolutionary in many aspects. Do not let HTTP/1.1 block the potential of your website. HTTP/2 reduces latency by allowing for multiplexing and by compressing the headers. 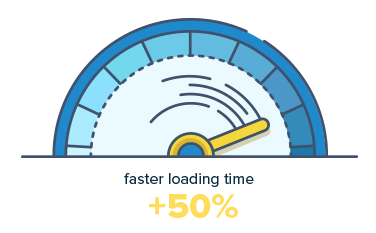 New compression algorithm from Google allows for better space utilization and faster loading time of your website. Brotli is a brand new compression algorithm, introduced by Google in 2015. CDN to implemention in 2016. It’s pretty amazing. You have full control over choosing data centers from our network. You can turn them on and off anytime. Reduce the load on your server by uploading larger files directly to our CDN Storage. We give you full control over the files which are stored on our servers. We provide email logs for general analysis of your CDN as well as premium service raw logs.